For more information regarding RDM please contact CBS RDM Support. RDM Support at CBS Library is the "one stop shop" for all CBS researchers with questions regarding research data management. We advise on good data management practice that helps you comply with requirements from funders and publishers. We help you write data management plans. 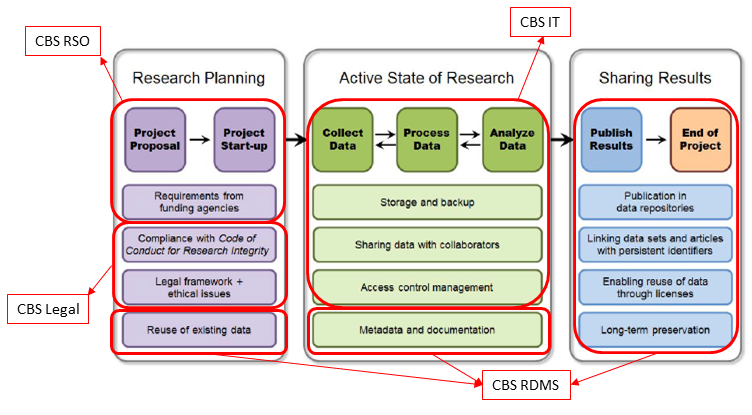 Together with CBS Legal we help you navigate the legal implications of research data management. Together with CBS IT we help you select IT infrastructures that optimally serve your data management needs, e.g. for securely sharing data with colleagues in larger research collaborations.